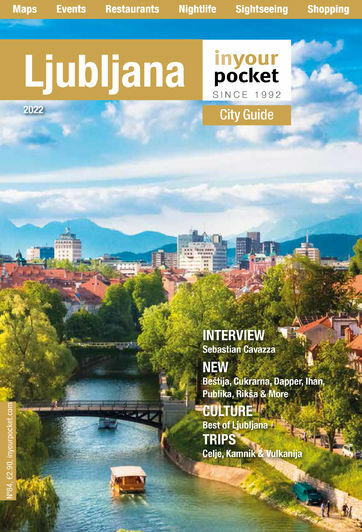 Walking around Ljubljana you’re guaranteed to encounter the stunning architectural landmarks of Jože Plečnik and the best way to get know who the architect behind so much of this beautiful city was is to head to his former home in Trnovo. Preserved and transformed into a museum, Plečnik’s home from the street looks like many of the other old houses in the area, although the master designer left his mark on this house too, expanding the original building with a cylindrical annex and winter garden as well as equipping the house and garden with inventive furnishings of his own design. Permanent exhibitions showcase Plečnik’s substantial architectural legacy in Vienna, Prague and of course Ljubljana, and also provive visitors a window into the world of the eccentric designer’s personal life and history. The museum can only be visited as part of a guided tour. Only guided tours, scheduled every hour, last one starts at 17:00. Admission €6, reduced €4, families €12. Scheduled guided tours: up to 4 persons €30; 4 or more persons €7 per person, reduced €5 per person.